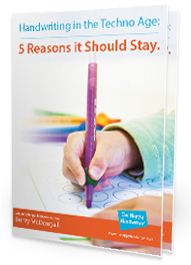 It is well known by teachers in classrooms across this very diverse country that the standard of fine motor skills in our pre-schoolers are not where they should be. Teachers are criticised for referring too many children to occupational therapy. Occupational therapists are criticised for prolonged intervention for fine motor skills. And parents? Well, they are criticised too for not monitoring their children’s exposure to too much screen time. It is time to stop the finger pointing and to collaborate to implement innovative ways to address fine motor skills for preschoolers. We know that by Grade R children are spending half their day engaged in fine motor activities, with 42% of that time in pencil and paper activities. Despite this, fine motor skills for preschoolers continue their downward trend. We Keep Trying but Fine Motor Skills for Preschoolers Keep Declining. We have fancier and more sophisticated toys, and every educational toy shop has shelves devoted to fine motor skills. But somehow, despite this, we don’t seem to be winning this battle. This is because all fine motor development activities are not born equal. Just because an activity uses fine motor skills, doesn’t mean that it develops the specific muscles and foundational movement patterns required for pre-handwriting development. Threading a bunch of buttons, while a critical skill, is not enough to reverse this shocking trend of fine motor fall out. So, this leaves us asking: how do you help a child develop fine motor skills? How do we turn the tide of fine motor skills activities? How do you Help a Child Develop Fine Motor Skills? The fine motor development that is going to facilitate optimal pencil grip and pencil control includes many components. 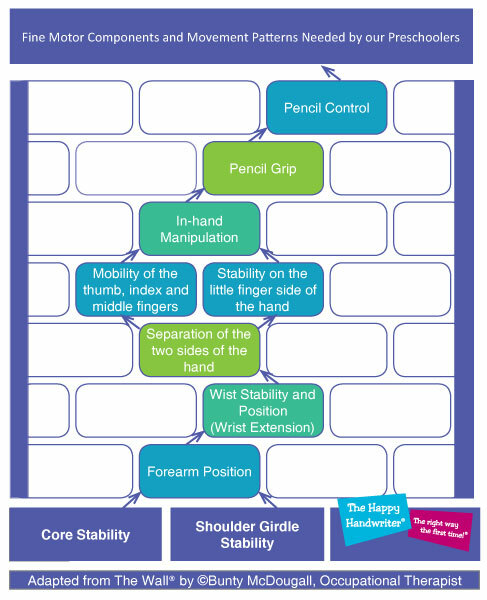 It is a highly complex interplay of skills, but to simplify it we need the following: core stability, shoulder girdle stability, wrist extension and stability, separation of the two sides of the hand, in-hand manipulation, and pencil grip – all of which foster the development of pencil control. I wouldn’t go so far as to say each is dependent on, or feeds directly into the next, but as we travel from the body to the hand, these are the components we need to develop. Somehow in times past, our children managed to develop these foundations and went on to achieve efficient pencil grips and good pencil control. This in turn, led to the development of automatic and legible handwriting of appropriate speed. However, with weak fine motor skills being the order of the day, we now need to be intentional about the development of each aspect of each of these components. It is clear that turning the tide of the fine motor fall out is way more complex than having some enthusiastic children dive into a tub of lego. I am not knocking lego – the world (and fine motor skills for that matter) would be the poorer for it! But we need the exposure to fine motor skills activities for preschoolers that promote these movements in a structured way. We also know that we practising colouring pictures is unlikely to improve fine motor skills to the degree that prepares a child for Grade 1. Back in 1969, Jefferson proposed that colouring could be used as a means of improving fine motor skills associated with handwriting. But there the research seems to have stopped! In fact, it seems that using colouring as a skill to improve fine motor and pre-handwriting foundations is based more on tradition than specific evidence that it improves pencil control. In many instances colouring promotes whole arm movements rather than the refinement we are trying so very hard to develop. If this is the case, how are we going to turn the tide? Because the underlying components that are needed to support pencil grip and pencil control are so very specific, we need to select fine motor activities that target these components. There has to be some level of structure around these activities to ensure the correct muscle groups and movement patterns are targeted and developed. How can we Help our Children with Fine Motor Skills in the Classroom? I’m not suggesting a military operation with our children all robotically practising the movements we are looking for. I believe in play with all my heart. Fine motor skills for pre-schoolers need to be fun. Children will not benefit from performing boring sets of reps the way body builders do in the gym. We must wrap these specific activities up in fun and fantasy, all the while ensuring that the activity is purposeful and achieves the specific goals of muscle development that we need. Hello Muscle Mania – a ground breaking programme which has put this in place for us. Teachers traditionally foster fine motor skill development from the activities and opportunities presented by the classroom environment, while occupational therapists traditionally work on a one-on-one basis where, amongst many other foundational concerns, fine motor development is addressed. Muscle Mania brings the two of these together. Muscle Mania is the way that we can provide graded exposure to each aspect of fine motor development in a fun and engaging way. 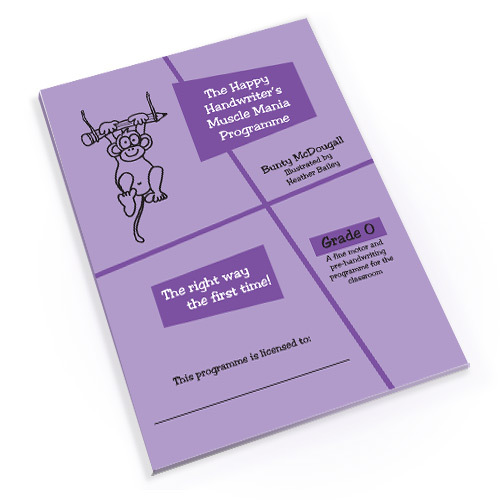 Muscle Mania is fun – it is a blast – something the children look forward to and anticipate in their day. And it is a classroom based fine motor development group, covering fine motor skills for preschoolers. It has produced unprecedented improvement in fine motor skills. It ensures a twice weekly regular slot in the programme where each of the aspects we have highlighted is developed. The different programmes include fine motor skills activities for 4 – 6 year olds. We need to turn the tide. We need to find a solution to fine motor skills for preschoolers. We cannot be having this same conversation in 5 years’ time.